There are a number of different spraying applications when you are applying chemical, and different guns to fit each application as well. Your chemical sprayer needs the correct gun for your purpose in order to be the most effective. So, the first question is what is your spraying application? Do you need high flow, or high pressure, an adjustable spray pattern? You get the idea. We are going to look at a few different spraying applications and select the right spray gun for your sprayer. Let’s start with tree spraying. 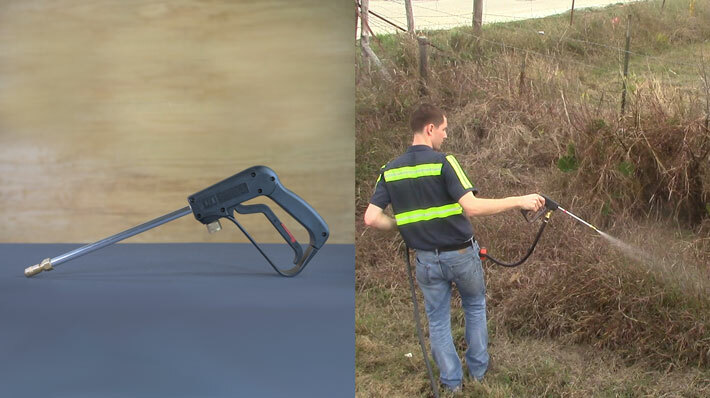 If you’re doing tree spraying, and you need to reach high ranges we would recommend the long-range spray gun which comes standard on our Pro Master™ 725 sprayer. Why this gun? Because it is heavy duty, it has high pressure to reach up the tree for good coverage, high volume, and it also has adjustable spray pattern allowing you to switch from a jet stream, to a fan, to a wider mist when you don’t need to reach as high. 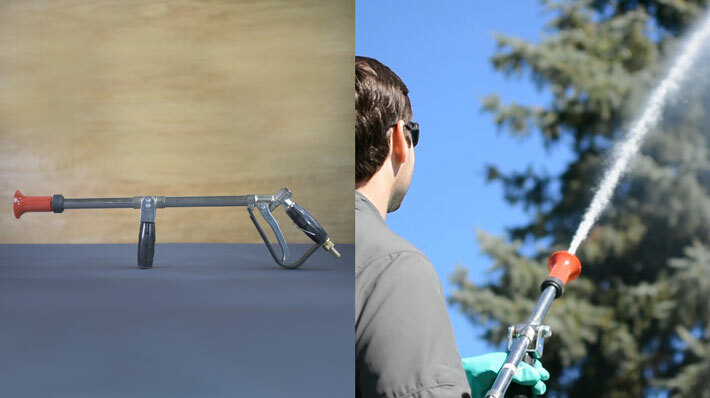 If you’re doing spot spraying, we would recommend the Delux spray gun. This is the gun which comes standard on our Field Boss 365™ and Field Boss™ Ecolite sprayers. Why this gun? Because its good quality and excellent for yard coverage. It has medium pressure and a good direct stream for getting at weeds. It has an adjustable tip allowing you to switch from a jet stream to a fan or mist. It is not super heavy and it is easy to operate with one had while you are driving your UTV. 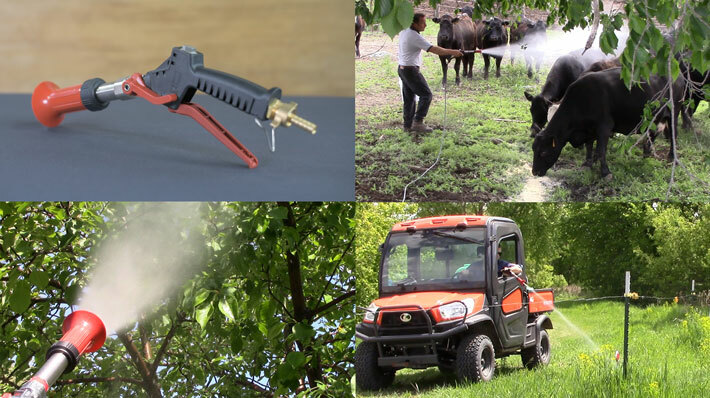 If you are doing orchard, livestock, or fence-line spraying, we would recommend the Turbojet spray gun which comes standard on our Field Boss™ Xstream sprayer. Why? 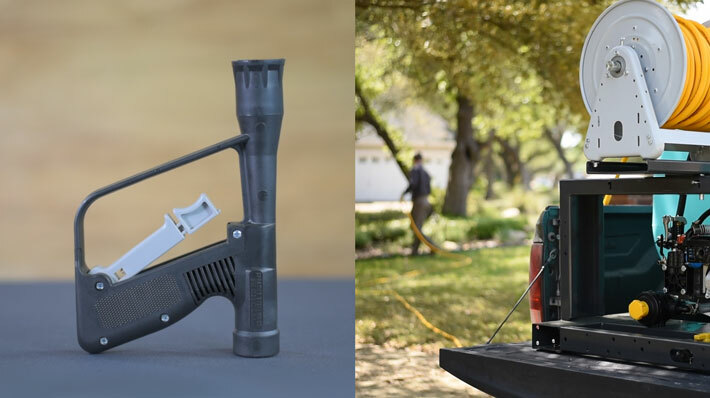 Besides good pressure, this gun allows you to adjust the stream from a jet to a soft mist. This also has the “atomizing” feature which creates a circular pattern in the spray flow, getting far better coverage. With your livestock, and orchard the soft atomizing mist provides a less direct spray for a consistent even coverage. 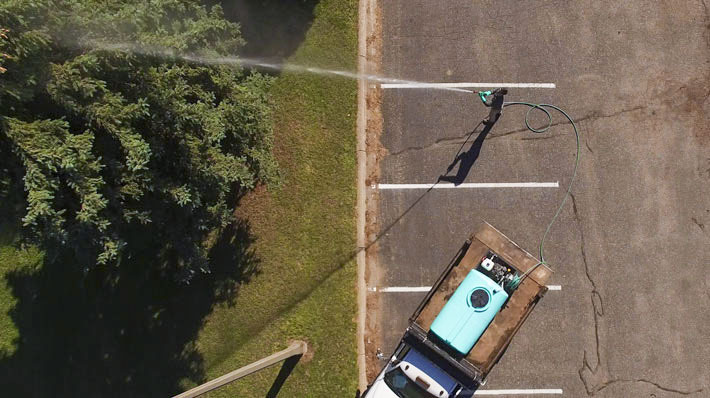 With fence-lines you can achieve a higher flow, medium range spray for direct, even coverage. If you are doing lawn or turf spraying, we recommend the TeeJet Lawnspray gun. Why? Because this spray gun has high flow with a consistent wide stream allowing you to achieve even consistent coverage on your lawn. Enduraplas has a variety of sprayers, with these spray guns on them for different applications. View the full range here. I hope you have found value in these recommendations and let me know in the comments below, if you have any other spraying applications you would like recommendations for. Sign up to our blog to learn the best answers to popular questions about Spraying! Copyright © 2019 Enduraplas®. All Rights Reserved.